Instrumentation Fittings that we offer are used for leak proof, torque free seal in different instrumentation & process tubing connections. Instrumentation Fittings, we provide, eliminate costly & hazardous leakages. 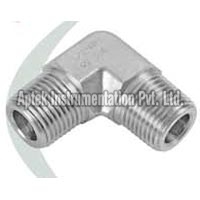 We provide a range of Instrumentation Fittings such as Instrumentation Tube Fittings and Instrumentation Pipe Fittings. Clients can avail Instrumentation Fittings from us at competitive rates. Instrumentation Tube Fittings that we offer are made with perfection in design structure under the supervision of expert professionals. 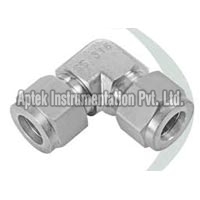 Instrumentation Tube Fittings that we offer is available in diverse range that comprises of Tube Fitting Connector, Tube Fitting Elbow, Tube Fitting Tee, Tube Fitting Union and Instrumentation Plug.